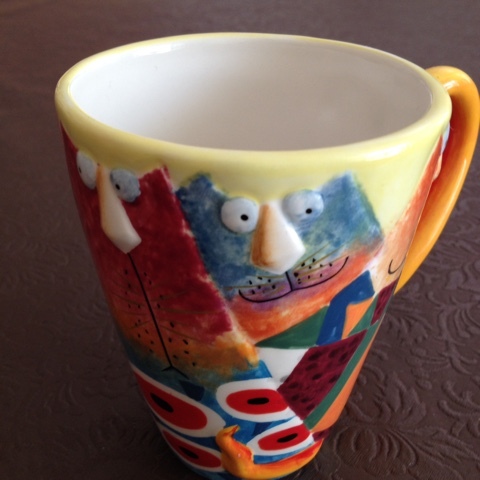 Visitors often remark on the varied collection of cups and mugs that are housed in the third or cup drawer. 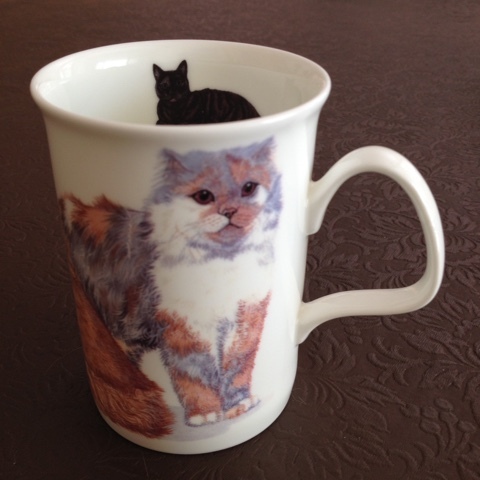 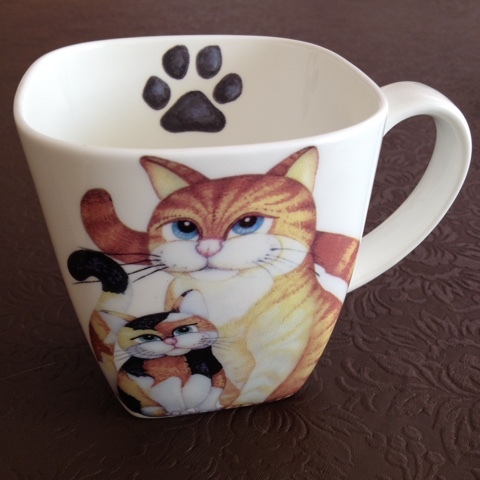 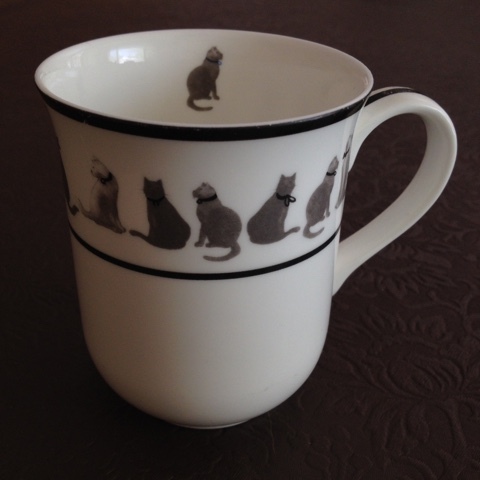 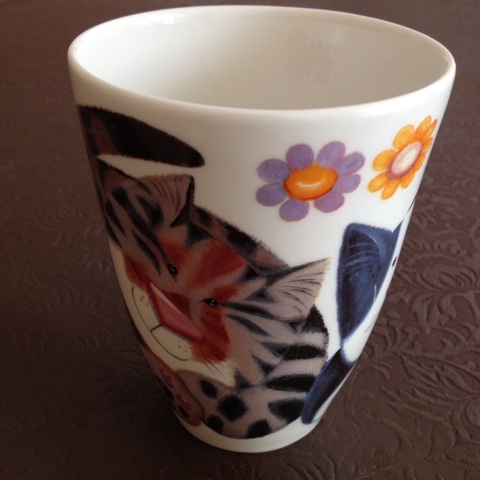 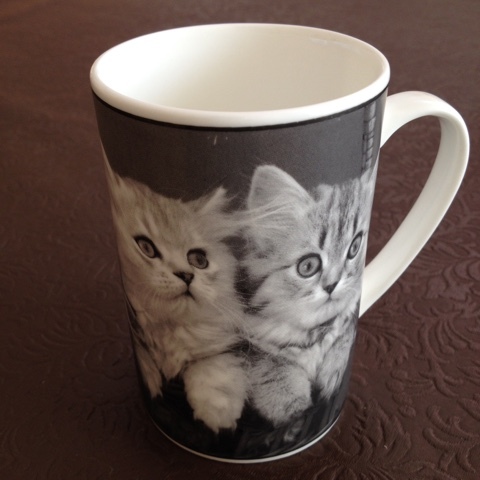 There are the plain white cups that are used for dinners and more formal situations and then there are the the 'cat mugs' that are used for every day. 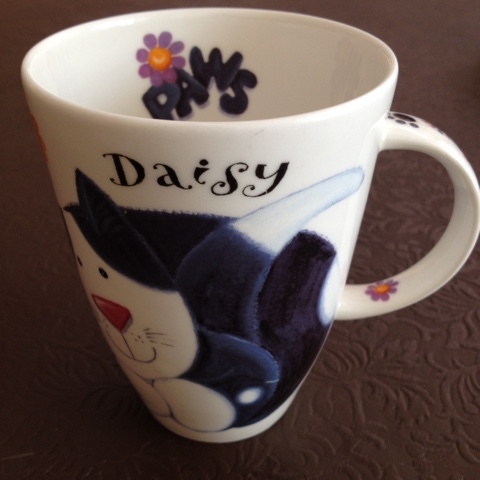 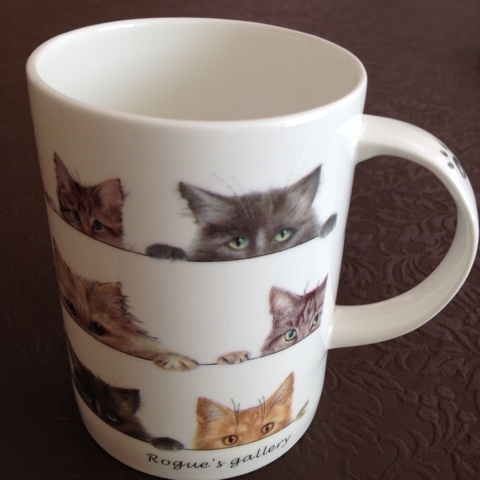 Every mug has been a gift from a friend, family member or a former colleague or student. 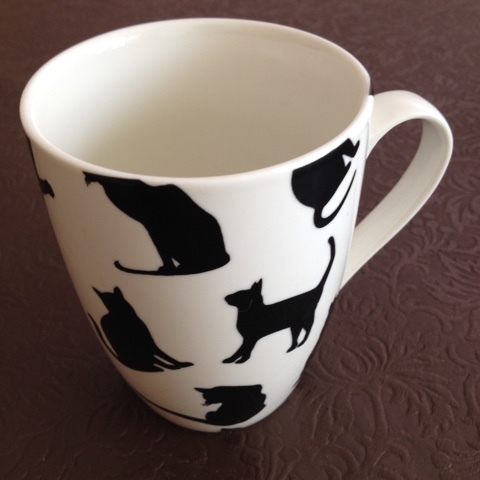 Sadly, one or two have not survived but despite this there never seems to be a shortage. 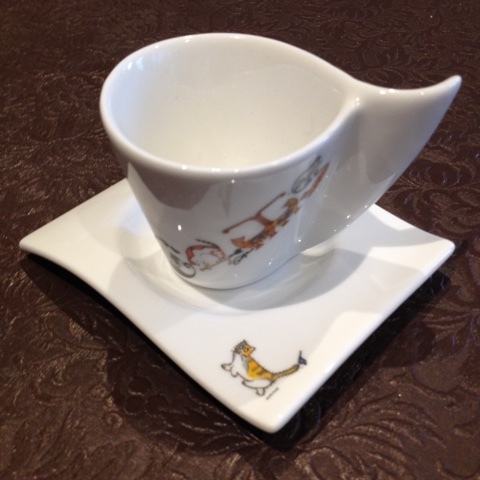 This small demi taste or espresso cup is not used for coffee but is a lovely addition to the collection. 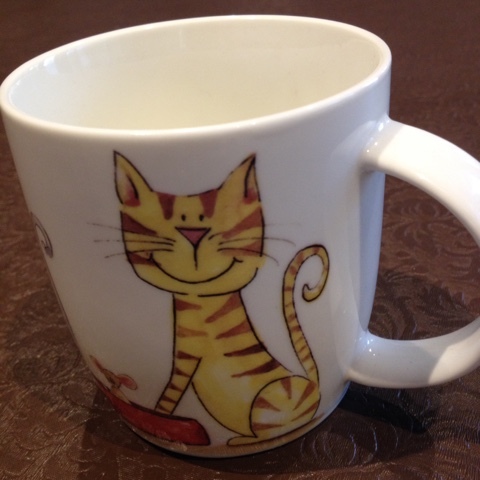 I am sure that there will be more.